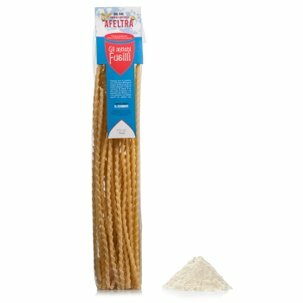 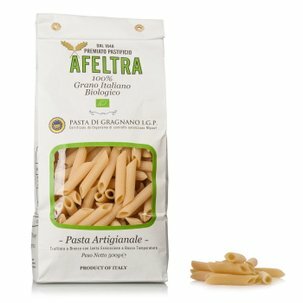 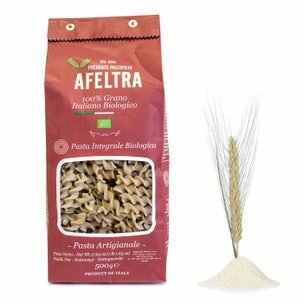 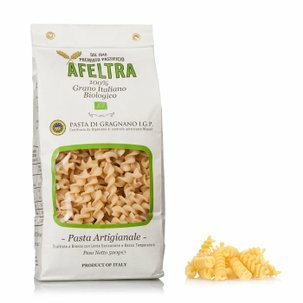 The Afeltra linguine are made using only high quality semolina, giving food lovers the possibility to discover the unique and unmistakable flavour of the true Gragnano pasta. 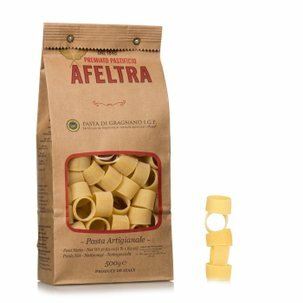 The bronze die extrusion and the slow drying process provides the pasta with the optimal coarseness and porosity for holding the condiments. This creates a pasta that maintains a perfect texture when cooking and that has an excellent flavour. 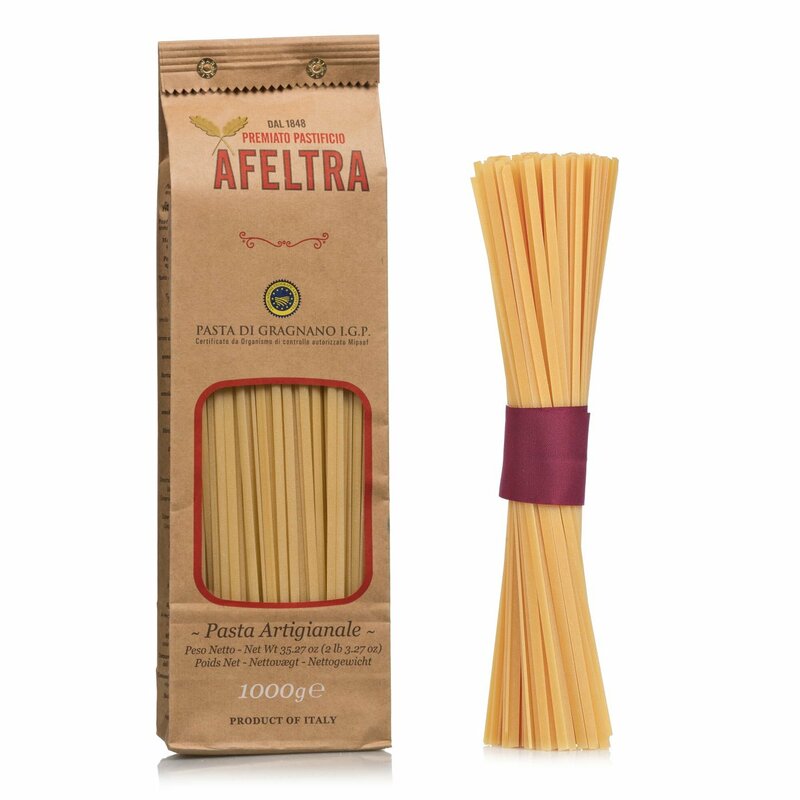 Try them with their classical pairing of pesto or with a fish or shellfish sauce.